Stop replacing worn-out, flimsy corrugated bins. 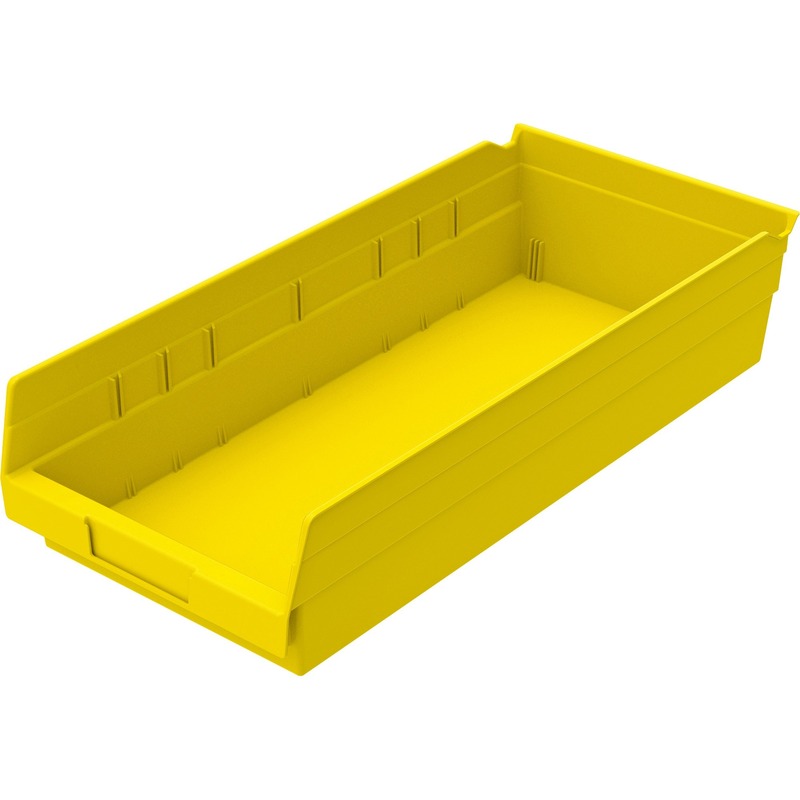 The Shelf Bin outlasts corrugated bins and is designed to fit standard 12"" deep shelving or Akro-Mils Bench Pick Rack. It is ideal for economical storage or display uses. Superior construction allows them to be fully loaded without bulging or cracking. 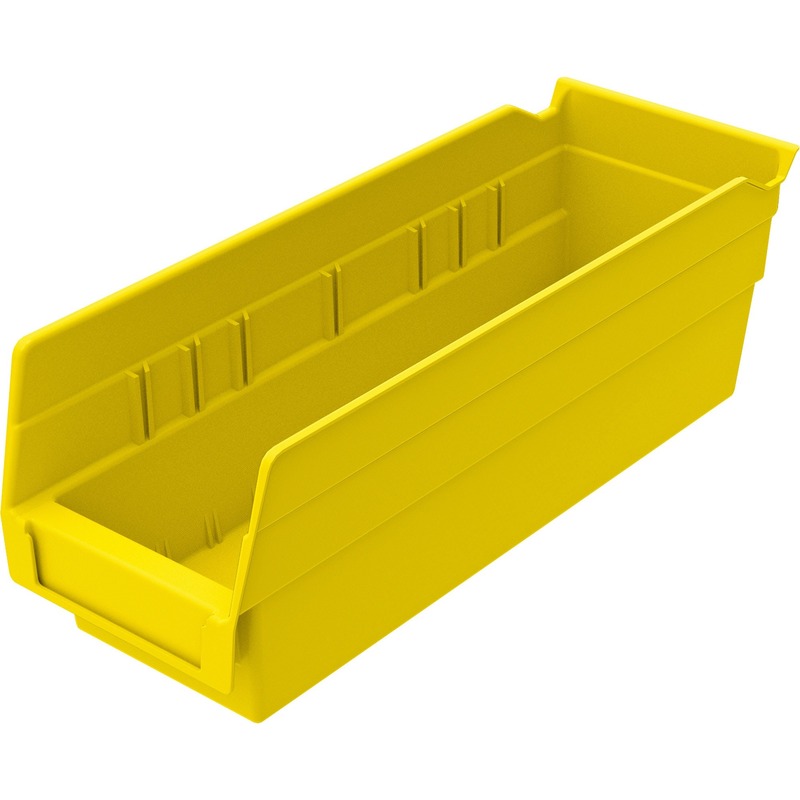 Durable, industrial-grade polymer bins also provide an attractive, neat appearance. 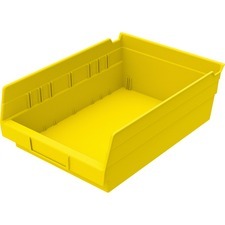 The bins are seamless, waterproof, grease-resistant and oil-resistant. 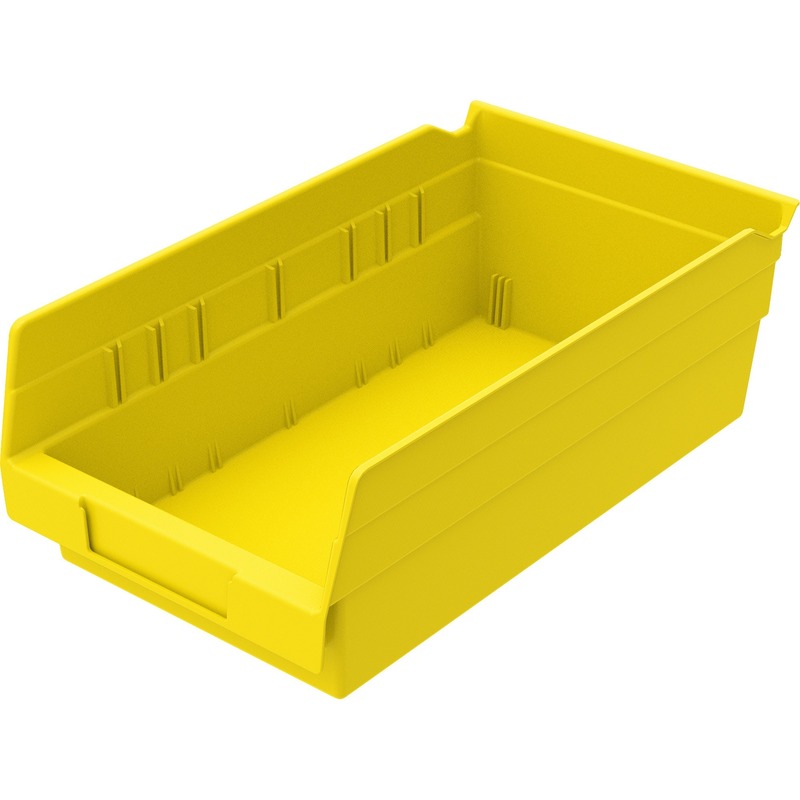 Rear hanglock allows bins to tilt out on shelving for complete access. Bin also features a wide label holder.